WASHINGTON -- A U.S federal judge said Volkswagen AG has reached an agreement in principle to provide "substantial compensation" to the owners of about 80,000 3.0-litre polluting diesel vehicles, a key hurdle to resolve the German automaker's emissions scandal. U.S. District Judge Charles Breyer, during a hearing Thursday in San Francisco, did not disclose the amount of owner compensation, which is not included in a US$1 billion settlement announced earlier this week between VW and U.S. regulators. Half of the compensation will be paid at the time Breyer gives final approval of the settlement. Some fixes for the 3.0 litres may not be approved until 2018, Breyer said. Earlier this week, Volkswagen reached the US$1 billion settlement with U.S. regulators, offering to buy back about 20,000 of the vehicles, fix the remaining 60,000 and pay US$225 million into an environmental trust fund to offset the vehicles' excess emissions. The settlement covered luxury VW, Audi and Porsche vehicles with 3.0-litre engines. With the agreement, Volkswagen would spend as much as $17.5 billion in the U.S. to resolve claims from owners as well as federal and state regulators over polluting diesel vehicles in addition to compensation for the 3.0-litre owners. Volkswagen spokeswoman Jeannine Ginivan said the automaker was pleased with the agreement in principle, but said details will remain confidential for now. Breyer said the final agreement must be filed with the court by Jan. 31, and he expects to hold a Feb. 14 hearing to approve the deal. The U.S. Federal Trade Commission is also expected to back the deal, Breyer said. On Dec. Volkswagen Group Canada said it will pay as much as CDN$2.1 billion in settlement to Canadian owners of its 2.0-litre diesel vehicles. It includes cash payments and potential buy-backs of the affected vehicles. That settlement does not include Volkswagen’s 3.0-litre TDI vehicles. Volkswagen, the world's No. 2 automaker, could still spend billions of dollars more to resolve a U.S. Justice Department criminal investigation and federal and state environmental claims and come under oversight by a federal monitor. It is possible a deal could be reached before the end of the Obama administration, said sources briefed on the matter. Breyer in October approved VW's earlier settlement worth about US$15 billion with regulators and the U.S. owners of 475,000 polluting diesel vehicles with smaller 2.0-litre engines, including an offer to buy back all of the cars. 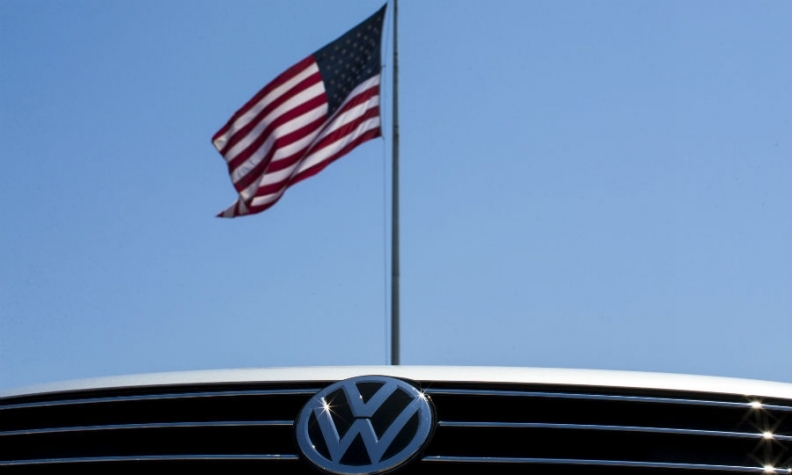 VW lawyer Robert Giuffra said Thursday the automaker has offered buybacks to nearly 200,000 U.S. customers and 104,000 have accepted the offer at a value of nearly US$2 billion. VW had agreed to pay US$5,100 to US$10,000 in compensation to each of the U.S. 2.0-litre owners. If the new settlement follows the pattern, it could add US$400 million to US$800 million to the 3.0-litre settlement. But funds from a separate settlement with German auto supplier Robert Bosch GmbH are expected to defray VW's compensation costs.